Information on this page is of extreme importance and it will affect your mobile marketing initiatives. Please read it carefully and implement new mobile marketing requirements before Oct 16, 2013. Telephone Consumer Protection Act (TCPA) of 1991 empowers The Federal Communications Commission (“FCC”) to issue rules and regulations implementing the TCPA. Among other things, the TCPA allows individuals to file lawsuits and collect damages for receiving unsolicited telemarketing calls, faxes, pre-recorded calls or autodialed calls. The recent revision of this act expands the reach to the use of SMS or text messaging. In short: You can no longer send marketing/promotional text messages to phone numbers that have not expressly and verifiably opted in to receive them. We strongly suggest that you delete your existing list (if you have one) and start from scratch. Here is how you can compile a verifiable opt-in list of people who want to receive your promotional messages. 1. You need to inform your customers of the nature of marketing messages and their frequency. For example: "Opt-in to receive last-minute specials from Great Salon. We will send you up to 2 text messages per month"
2. Inform your customer the cost they may incur as the result of their receiving these promotional messages. For example: "Standard carrier charges apply"
3. 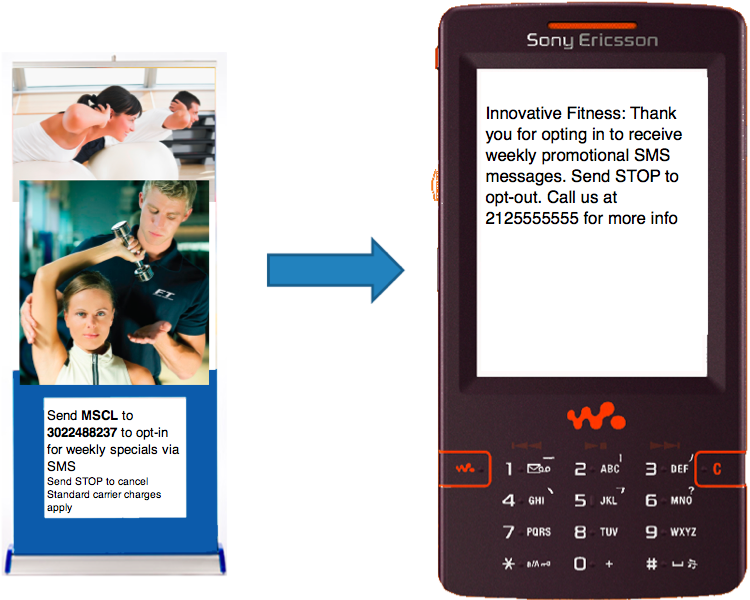 Inform your customers how they can opt-out in case they no longer wish to receive your promotional messages. For example: "To opt-out reply with words STOP"
4. Create a verifiable process to enable your customers to sign up. You must clear all previous lists you created for marketing purposes. In Millennium this means that the flag on customer profile indicating "Receive SMS Marketing" must be unchecked. Please contact Harms Software if you require assistance with this. Have en electronic process in place through which your customers can opt-in using their cell phones. To support this method we assigned a special opt-in number 3022488237 for this purpose. You will also need your special opt-in keyword, select a 4-letter keyword and email-us your opt-in keyword and we will configure your account. When this is done you need to invite your customers to text the keyword to the opt-in number 3022488237. If a person complains in the future of receiving marketing messages, you have a proof of their voluntary opt-in. It is your legal responsibility to send marketing messages only to the customers who identifiably opted-in to receive them. It is easy to have your customers opt-in. Penalties for each infraction (each text message) range from $500 to $1500. DISCLAIMER: The above is our interpretation of the TCPA. We strongly encourage you to read the document for yourself and if needed seek legal help to interpret it.